Something of utmost importance to many home-based chicken farmers is hatching chicken eggs in an incubator. These chicken incubators are unique and require a skillful hand to use them. Generally, extremely precise conditions are needed for incubating eggs and getting the chicks to come out of their shells. Chicken incubators are the technological form of broody hens. And there are several various kinds of chicken incubators for your chicken eggs, from a small homemade incubator to large industrial ones. And just about everything in between too. Chicken incubators on a small scale are a great choice for those keeping backyard chickens. Small incubators are perfect for hatching up to 80 eggs at a time. 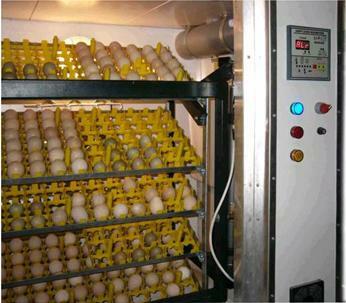 While large cabinet incubators are available for large scale chicken egg farmers that can take up to 140 eggs and more. And if you are interested in how to make an incubator, there are plans readily available for easily constructing your own homemade incubator too. Chicken incubators can be found in various sizes and types for different tasks. Some are used for educational purposes while some magnanimous ones are used in large scale poultry farms. Its basic structure consists of a box with some parts attached that can be used for heating as well as ventilation. And some models even include automatic turners. More complex varieties also have gadgets for controlling humidity, as well as coolers for better balancing temperature in the incubator. Some larger ones also have space for the chicks’ brooding period as well. There are some that are stylized with window panes while others are completely see-through. Chicken incubators are quite flexible but some have to be monitored constantly for temperature control. Auto incubators are also available in the market. In short, according to your budget there is always a certain type of chicken incubator available. And for those interested, constructing a homemade incubator is a great economic choice. 1. Picture Window Incubator – This type of chicken incubator consists of a window side with plastic lining through which you can observe as the chicken eggs hatch right in front of your eyes. It is usually made up of styrofoam and has a weight of about 4 pounds, which makes it easily transportable. It also comes with a turbo fan that allows a larger number of incubating eggs to be hatched properly. The fan helps in balancing of temperature along with its automatic turner. This causes all eggs to be exposed maximally and uniformly to the set temperature. Most of these can take up to 50 chicken eggs and various upgraded models can be found for this type, along with different accessories according to your choice. 2. Roll-X Incubator – This has all the standard features like other chicken incubators but it also consists of an easy to clean base, automatic turner and a see through top. Its temperature controls consist of a thermal backup wafer and wet and dry mercury thermometers. It consists of a grid that can carry up to 89 chicken eggs at a time. And the small size makes it highly portable and also easy to clean. The Roll-x incubator will definitely remain disease and germ free because one can easily remove its grid to reach to the base and clean everything up thoroughly. 3. Three Egg Full Auto Incubator – This one is for starters and students who would like to learn or present a project on incubating chicken eggs. It has an auto temperature control system. It can carry up to 3 eggs and has an automatic stopping system 2 days before the eggs are supposed to hatch to for temperature control. And it has air circulation mechanisms. One can view their project from the window above. Plus there is also an alarm system in case of any imbalance during incubation. 4. 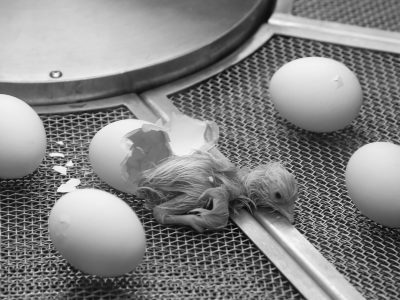 R-com Incubator – This type consists of an egg scope for watching the embryonic development of chicks within the eggs. The top window can be replaced with the egg scope when needed. And the development within the egg shells can be clearly seen without interrupting the incubation process. LED lights in the egg scope provide a clear focus into the embryonic development for clear viewing. 5. Sportsman Cabinet Egg Incubator – This incubator consists of all the tech savvy options that one needs in chicken incubators. It has a 24 hour monitor system that gives you updates on temperature, humidity and atmosphere within the incubator. It not only consists of 3 egg trays but also has a hatching plate at the bottom for the chicks. The 3 trays of eggs hatch in a constant cycle which loads the batch of chicks one after the other without difficulty and overcrowding. It has space for around 90 chicken eggs. It has a complete digital atmosphere regulation system which makes it easier to handle for you. And it is the most user friendly version of chicken incubators found in the market. 6. Homemade Incubator – Sometimes shopping for chicken incubators can become very expensive really quick. In such a case, a homemade incubator is the perfect choice. Through certain tools and natural utensils one can easily learn how to make an incubator for a natural hatching period for the chicks. The basic structure of a homemade incubator consists of a cabinet, box or any other such container for holding the amount of eggs one wants. The foil on the box’s insides helps in keeping a constant temperature and safety of the newly hatched chicks. A homemade incubator can be as large for holding up to 40 eggs. And it is highly user friendly, as its structure can easily serve as an auto turner set over a few poles. 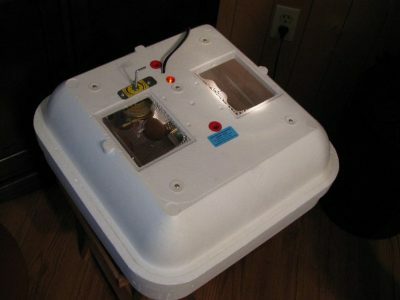 A fancier homemade incubator might contain a thermometer and an auto turning device which can increase its reliability in terms of positive end results. Also, a homemade incubator has higher durability as they are not likely to face any power shortages, low electrical inputs or short circuits due to their natural structure. 7. Commercial Incubators – These are used by large scale poultry farmers that can store up to hundreds of eggs at a time. These incubators are run by computers and proper surveillance systems and generally cost up to $1000 and more. 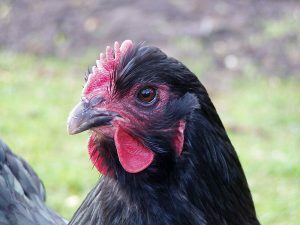 Although they have a great hatch rate, they usually are neither feasible nor desirable by a small scale domestic chicken farmer. For them, one of the other smaller chicken incubators is the best option. So as you can see, there are a nice variety of choices to choose from. But how do you know which chicken incubator is right for you? A lot will depend on your goal. Are you looking to just hatch out a few chicks for your own personal use? Or, are you hoping to sell chicks to the public? You’re also going to want to take your budget into consideration. This will definitely narrow down size and options available on the various chicken incubators, or whether you’re going to want a homemade incubator. Once you answer those questions, you should have a pretty good idea of just which types of chicken incubators to look at. When you have your options narrowed down, you can look at reviews on each and pick just the right chicken incubator for your needs.